The creation of a new campus was driven by the University’s need to rationalise its wider estate, respond to a changing student profile, attract research investment and support local business and industry. Over fifteen years after completion it still remains one of the most ambitious projects in the UK Higher Education sector. The rationalisation has enabled significant efficiencies to be achieved in terms of shared teaching and support space. Locating teaching and research groups on the same site has allowed many further benefits in terms of synergy between the academic departments, and social and intellectual interaction. 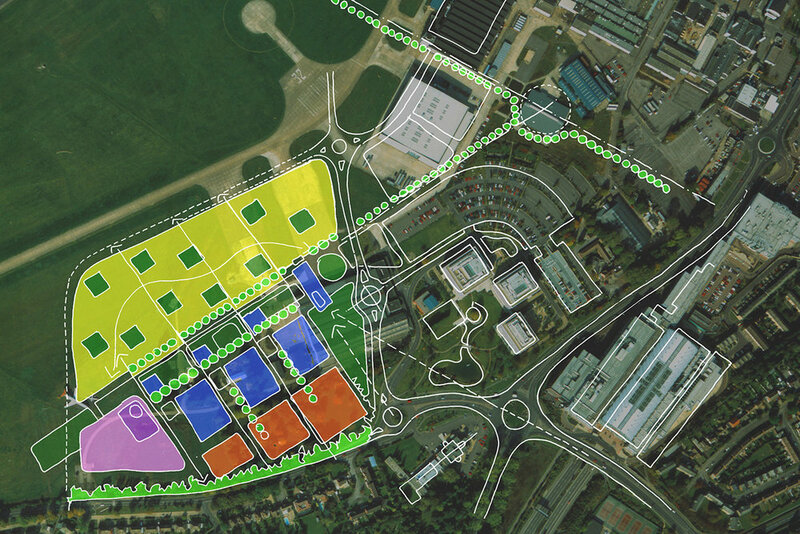 The new campus forms a primary component in the redevelopment of the original 322 ha Hatfield Aerodrome site. A vital part of the masterplan was to ensure that the new campus has clear and logical links to adjacent development and critically, to the University’s existing campus at College Lane. 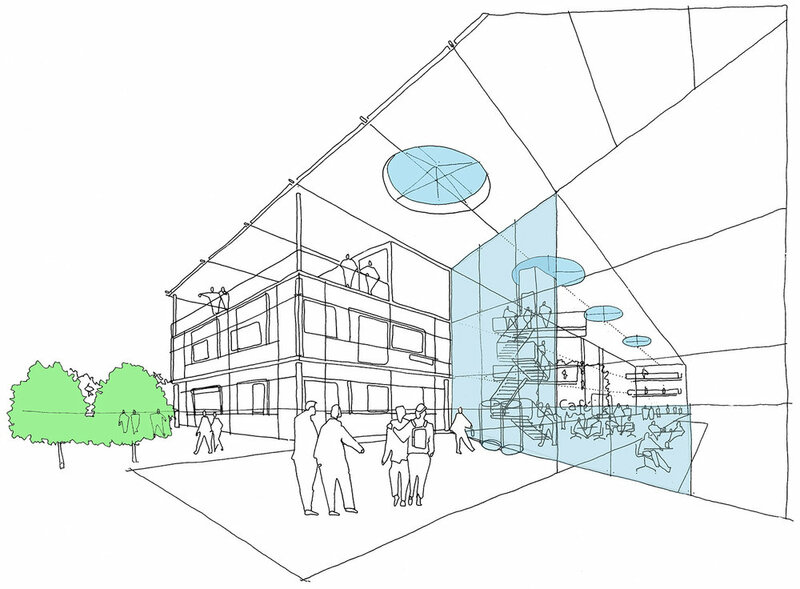 The basis of the concept is an axial central space and internal concourse that links this and future phases of development. The campus brings together, teaching learning, sports, social and residential space and we have been subsequently invited back by the University to deliver a new Law School facility as well as a refurbishment and extension within the original concourse area.